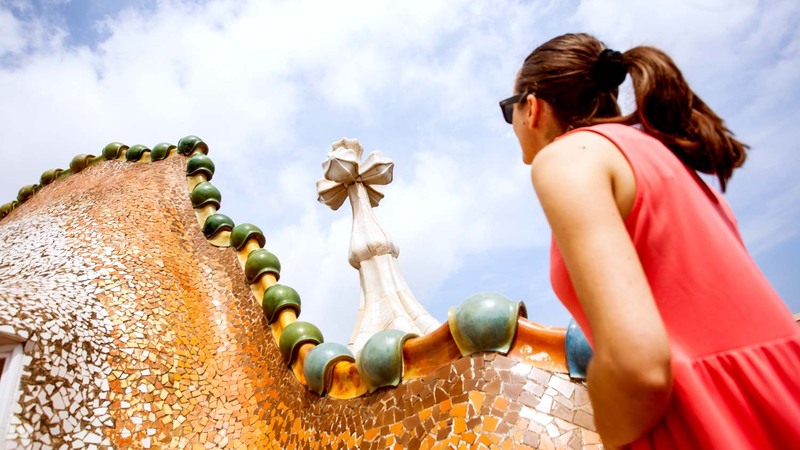 Antoni Gaudí saw nature as his muse and used its patterns and shapes to create architectural masterpieces. 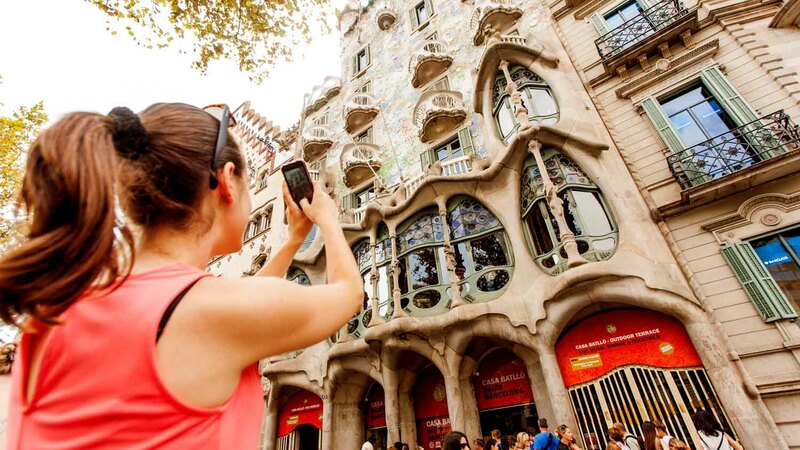 Casa Batlló is one example that reflects his ingenious imagination, and it should top your list when visiting Barcelona. 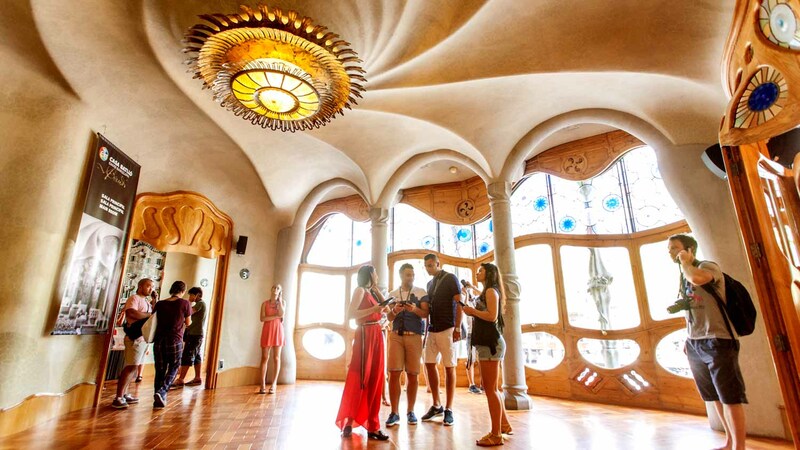 In 1904, the Batlló family asked Gaudí to turn their building into an unrivaled showpiece and allowed him free rein to bring his whims of creativity to life. He clearly succeeded. Gaudí's technqiue, with the use of stone, glass, color, and abstract shapes on Casa Batlló's undulating facade and in its interior, illustrates his brilliance of Catalan Modernism. 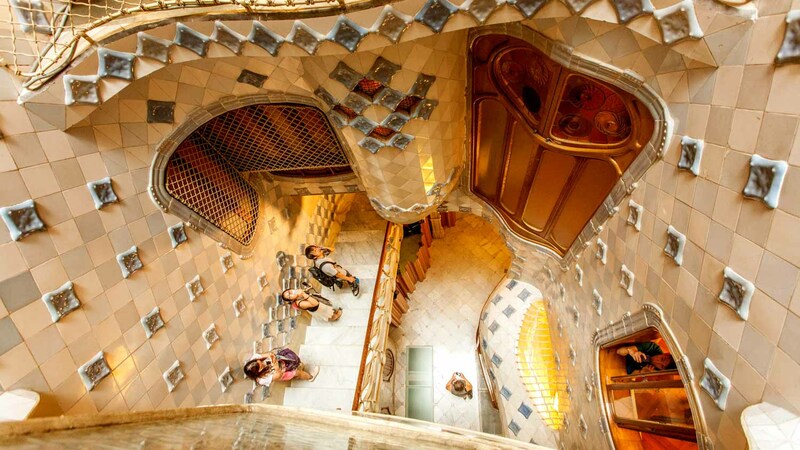 It's where the Batlló family lived, and it exudes sheer elegance. The mushroom-shaped alcove, with benches to sit by a fire, is an example of Gaudí's gifted mind at work. The use of warm tones and wood creates a harmonious flow throughout. The building's shaft, lined with cool shades of exquisite, blue tiles, fills Casa Batlló with natural light. Eccentric chimneys rise behind what appears to be the contour of a dragon's back, which crowns the roof. The sequence of colored tiles enhances the effect of a scaly surface. Admission always includes a great audio guide. When you purchase a ticket online, you'll also receive a video guide, which allows you to see what some of the rooms would have virtually looked like when furnished. This feature costs extra at the ticket window. When booking online, you can also add on the "fast pass" to avoid a long wait in line. 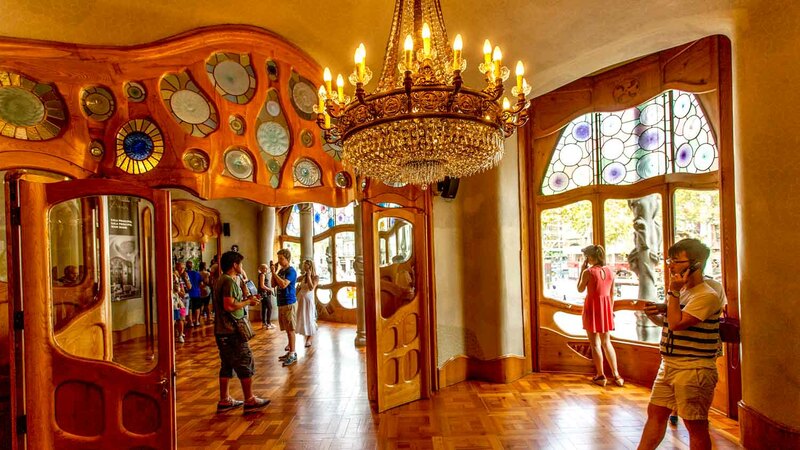 Casa Batlló is open 365 days a year, from 9:00AM - 9:00PM (last entry is at 8:00PM). Allow yourself 1 - 2 hours to appreciate this amazing building. Adults 18+ are 21.50€, seniors 65+ and juniors 7-18 are 18.50€ and children are free! Admission always includes an audio guide, but purchase your ticket online and you'll also get a video guide for free! Valentina was an excellent photographer and we enjoyed the experience. We were happy to have booked this activity with a professional photographer. We were on a once-in-a-lifetime trip to celebrate 3 important events in our family life--the awarding of a graduate degree and two birthdays--and we wanted wonderful images to commemorate this trip. Valentina was a sweet, personable young woman who put us at ease. We believe that the images will be wonderful. We would recommend this activity to other families. We thoroughly enjoyed touring this fantastic architectural wonder. The audio guide provided an efficient way to learn about the architectural features, the reasoning behind them as well as hints as to the life of the original residents.